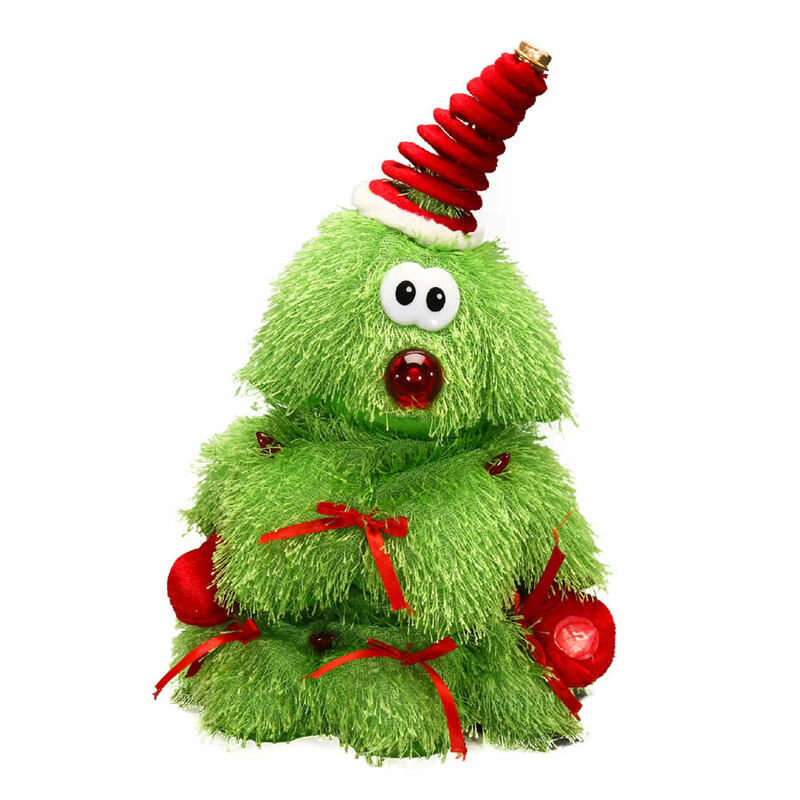 Won’t you give this adorable plush, green Dancing Christmas Tree a home this holiday season? Each adorable animated figure measures approximately 19cm wide by 24cm tall, which makes him (or her!) the perfect size to place under the tree or around your holiday displays. The vibrant green colour of the tree’s furry ï¾“firï¾” branches compliment the red accents. The red, coiled hat and delicate bow accents give this tree style and flair. It might be the character’s soulful eyes that really captivate shoppers, however. How could anyone resist his charm and sad expression? Friends or family will enjoy watching the clever moves and holiday spirit of this tiny tree, and young ones will enjoy snuggling with him while they wait for Christmas to come and Santa to arrive! This would delight young and old alike, and is the perfect item to complete your holiday gift-shopping this season.